THE PICKIEST EATER IN THE WORLD: EARLY BIRD BREAKFAST CLUB GIVEAWAY WINNERS! So who wants to know who won the Early Bird Breakfast Club Giveaway? In case you're just tuning in, I'm giving out GC's to Early Bird Breakfast Club..
See my visit to Early Bird Breakfast Club here! 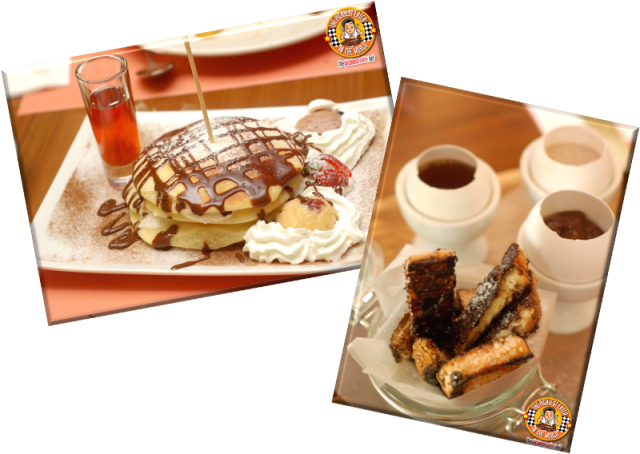 One GC for Early Bird Signature Pancakes & Two GC's for French Toast Fondue! Kindly wait for my email regarding when you can claim your GC's from my office in Makati. Much thanks to the wonderful people from Early Bird Breakfast Club, particularly the lovely couple of Ellen and Kendrick, for their gracious hospitality, and generous contribution to this giveaway! A big thanks to everyone that participated! Rina and I will be giving out more GC's Soon so Stay tuned! on facebook for a heads up on our latest giveaways!